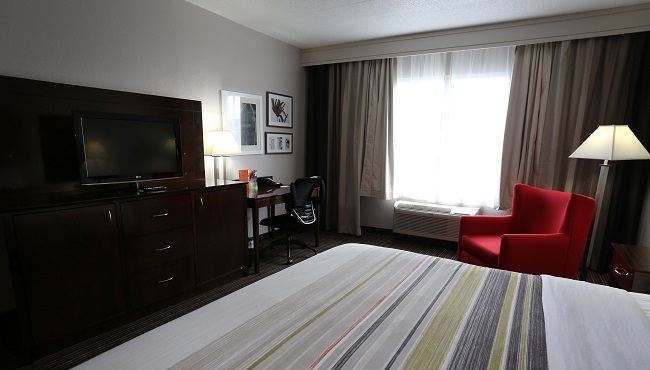 Ease into the evening with comfortable accommodations at the Country Inn & Suites, where you can surf the Web using free high-speed Internet access or catch up on world events with a free weekday newspaper. Discover how easy it is to fall asleep on a soft pillowtop mattress, offered in every one of our 99 hotel rooms and suites. When you wake, fix yourself a cup of coffee with the in-room coffeemaker before dressing for the day. Traveling with a friend or alone on business? 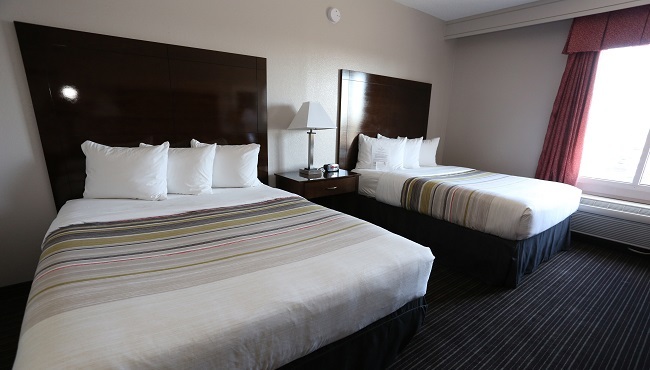 Our Standard Rooms are perfect either way because they come with a choice of two queen beds or one king bed. When you're traveling with children, this suite is a nice choice due to its additional floor space and extra bedding. 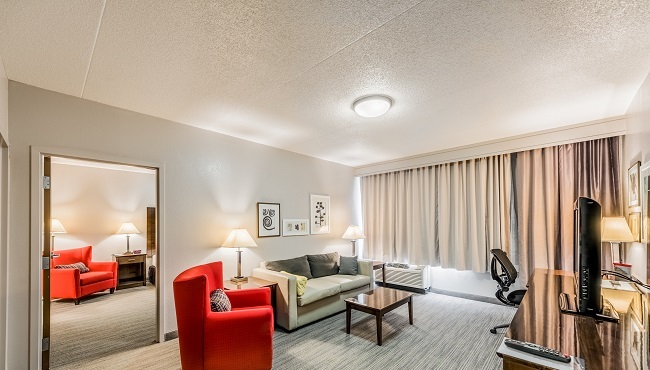 With a jetted tub and a sleeper sofa for extra guests, these suites provide added comfort and convenience. 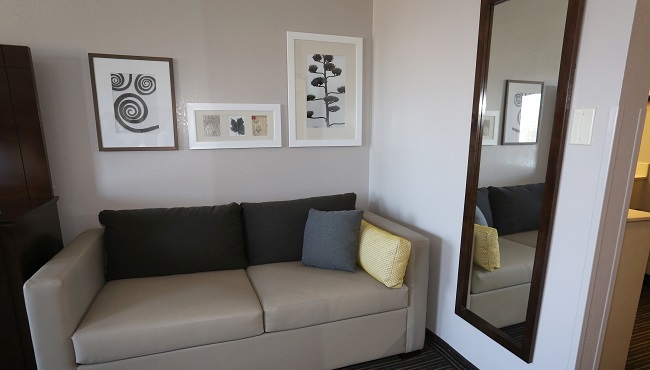 It's easy to make yourself at home in our King One-bedroom Suite, featuring a jetted tub, a sleeper sofa and a separate living room area with its own flat-screen TV. One handicap-accessible suite is available.